IBM is rolling out its first set of software tools and services aimed at standardizing and streamlining the way enterprises design and integrate IT processes. The new tools and services include IBM Tivoli Unified Process, a navigational tool for customizing and implementing best practices for mapping, modifying and improving IT processes; IBM Tivoli Change and Configuration Management Database (CCMDB), a virtualized database that federates information spread across multiple databases; IBM Tivoli Process Managers, prepackaged software to automate such processes as application deployment across software, hardware, storage and network systems; and customized IBM Global services around service management solutions. Brent Handury, national brand leader, Tivoli with IBM Canada Ltd. in Toronto, said the tools and services are meant to help business become more process driven and thereby increase the business value in existing and often heterogeneous infrastructure investments by getting the technologies to work better together. First you define the process, then get the people in-line with the process then you find the technology to support the process.Wayne Fowler>TextHandury said the long-term goal of streamlining and automating many IT processes is to free up IT departments so as to concentrate energies and persons on using technology investments to drive business goals. In addition, by automating processes across software and hardware platforms, IT departments can more effectively manage changes and upgrades to infrastructures without causing disruptions to business processes. Handury gives the example of storage virtualization for helping streamline a business process. Currently, if a company wants to move data from one storage system to another, or make any kinds of changes to the underlying storage infrastructure, it is often done manually and is a time-consuming process. A company will likely have to schedule system downtimes to accomplish such changes, downtimes that will likely disrupt the workings of the business. Wayne Fowler, department manager with the Toronto-based Bank of Montreal said IBM’s announcement is welcome as it shows the company is working aggressively toward making its products work with the best practices the IT industry is adopting for many IT management processes. 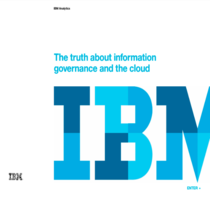 Fowler believes IBM’s approach will be especially welcome in the areas of availability and incident management.